At the beginning of the season, New York Giants’ B.W. Webb was just the guy with the wild hair on the SNL player introductions. He quickly became a miniature meme on Giants Twitter for his outlandish appearance. But since then, B.W. Webb has proved himself to be a solid starter for the men in blue. During Sunday’s overtime victory against the Chicago Bears, B.W. Webb made a game changing play. Up by seven with just over two minutes remaining in the game, Chase Daniels made a quick throw to Taylor Gabriel with Webb in coverage. Gabriel secured the catch, turned to go up field, and was met instantly by Webb. Webb punched the football out and wrapped Gabriel up. This forced fumble lead to the Giants scoring a field goal to increase the lead by ten and ultimately allow the Giants to compete in overtime. To add to this clutch fumble, Webb had a pass defended and tallied a team-high nine tackles. In addition to his clutch performance against the Bears, B.W. Webb also caught the game-sealing interception against the Buccaneers a couple weeks ago. As of November 3, Webb was allowing 0.63 yards per slot coverage snap, which was the fourth best among cornerbacks with a minimum of 80 slot coverage snaps so far this season (according to PFF). So far this season, B.W. Webb has recorded a total of 46 combined tackles, two tackles for loss, two QB hits, one sack, one interception, and five passes defended. He hasn’t been perfect by any means, but this is a solid season from a rarely talked about player on a bad defense, and he deserves more credit than he is given. 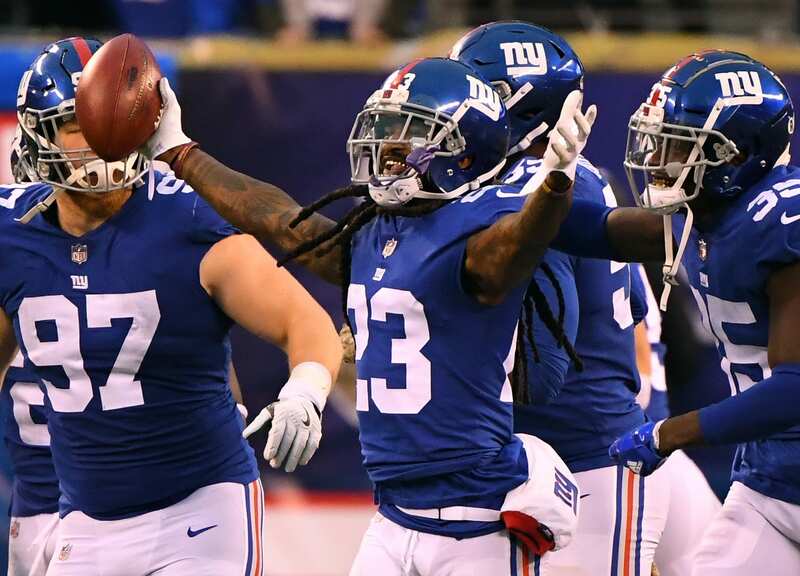 Not only has he stepped up since Eli Apple was traded, it could be debated that he is outperforming the former Giant. Giants fans should find pride in B.W. Webb’s competitive spirit and good under the radar play.